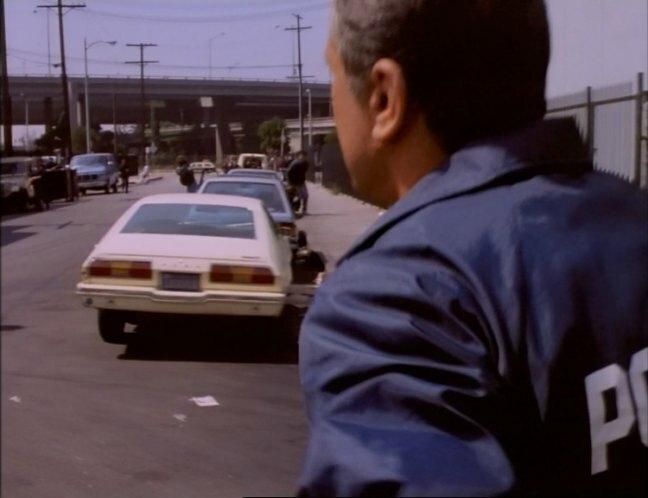 IMCDb.org: 1975 Ford Mustang II in "In the Line of Duty: A Cop for the Killing, 1990"
Am I seeing the gas cap peeking out on the left side? Certain enough to go ahead and list as '75. Seems to be the gas cap.